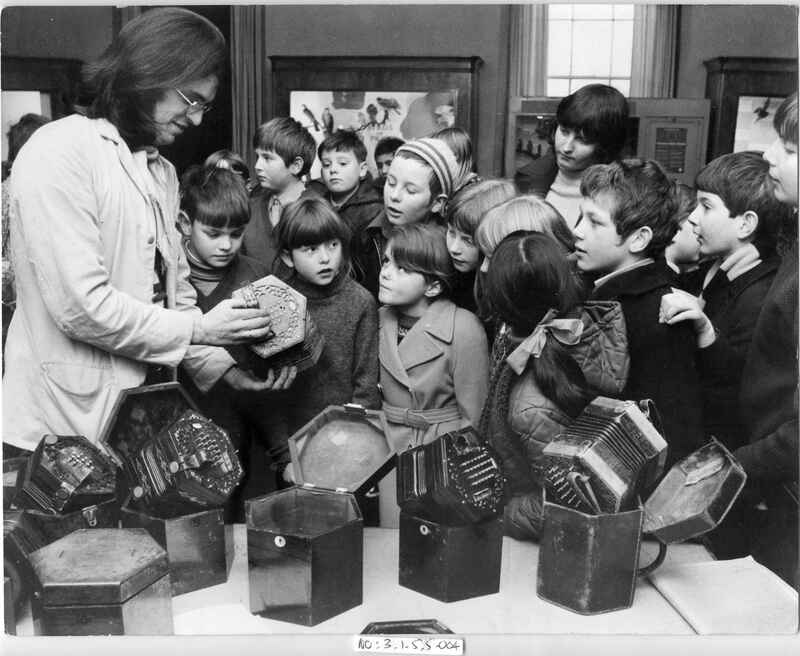 Full Description: A large plate image of Neil Wayne lecturing to an audience of children at the Worcester County Museum, taken in December 1972. He holds an amboyna J Simpson English, and on the display tables are: an early Wheatstone with a silver plaque of the 'His Majesty's..' period; some brass inlaid Lachenal 48-key English models; an early Jeffries Anglo with nickel sides to the ends. Photo by Heart of England Newspapers Ltd, Leamington Spa. Similar image at NC.3.1.5.5-003 .